Travelling back to the battlefields of the Second World War for another go of it, Kite Games are planning to release Sudden Strike 4 in spring 2017. Giving would-be generals the option to play as either the Allies, the Soviets or the German army, Sudden Strike 4 gives you control of over 100 authentic land and air units as you re-enact choice battles from WWII. 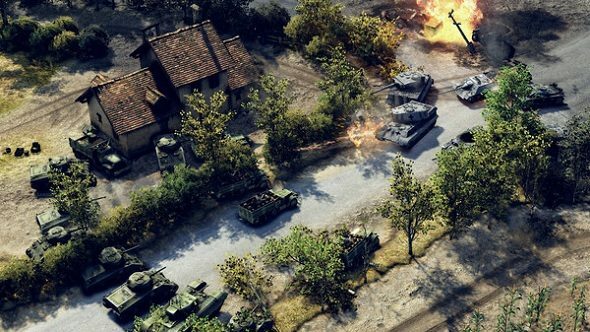 If you want to enlist and battle now, these PC strategy games made do the trick. Acting as the first stand-alone entry in the Sudden Strike series since 2007, Sudden Strike 4 brings back the optional “pause and play” system, where players can suspend the action to designate specific commands to their troops before resuming the battle. As for new mechanics, Sudden Strike 4 adds the new commander system, where players can pick between three famous military figures to boost either infantry, armour or air power. With each commander having their own skill tree and bonuses, choosing the right man for the job will be key to winning certain conflicts. Sudden Strike 4’s campaign mode will feature 20 different missions stretched across three campaigns, with a special skirmish mode for players wanting to set up specific scenarios between armies. A competitive multiplayer suite will pit general versus general, with victories earning skill points and special bonus content, like newsreels from the war. The PC version of Sudden Strike 4 will feature full modding support via Steam Workshop and those eager to join the fight can pre-order the game on Steam now. Pre-ordering will get you a 15% discount, access to a digital soundtrack and a digital artbook, alongside “The Battle of Kursk” DLC. Sudden Strike 4 costs $49.99/£39.99 on Steam and is scheduled to release in spring 2017 for PC, Mac and Linux.